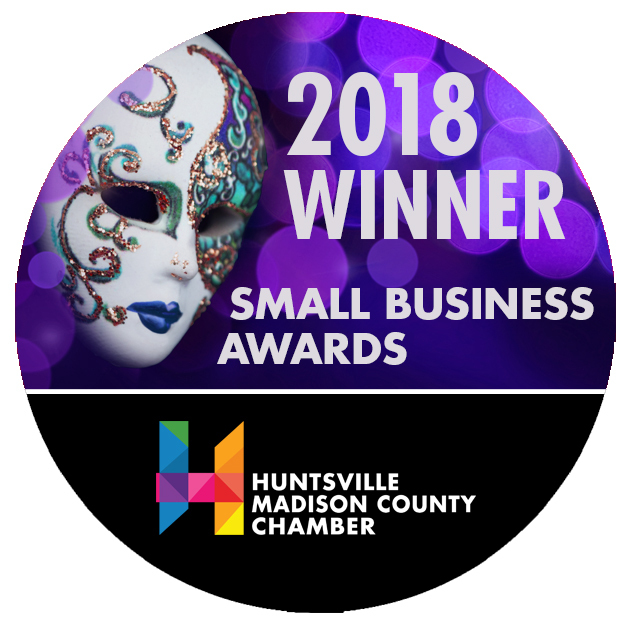 The Huntsville Madison County Chamber of Commerce hosted the 33rd annual Small Business Awards on August 14th to honor local small businesses. The Small Business Awards recognizes individuals and businesses that make a positive impact on our community through their products, services, and outstanding attributes. The celebration honors the best of the best small business entrepreneurs, young professional, nonprofits, and executive leadership. The small businesses were nominated, submitted applications and selected as “Contenders” prior to the event. The Tulsa Regional Chamber in Tulsa, Oklahoma reviewed applications and selected the winners in each category. Over a thousand individuals attended the event held at the Von Braun Center, in Huntsville. Capstone Realty, in their first year of being nominated and in their ninth year of being in business, won the Professional Services Business of the Year. – Young Professional of the Year: Kristina Sexton, NXTSTEP Family Law, P.C. – Technology Business of the Year: Summit Information Solutions, Inc.
– Government Contracting –Technology Business of the Year: Canvas, Inc.
– Service Business of the Year: Matt Curtis Real Estate, Inc.
– Woman-Owned Business of the Year: Canvas, Inc.
– Russell G. Brown Executive Leadership Award: Lynn Troy, Troy 7, Inc.